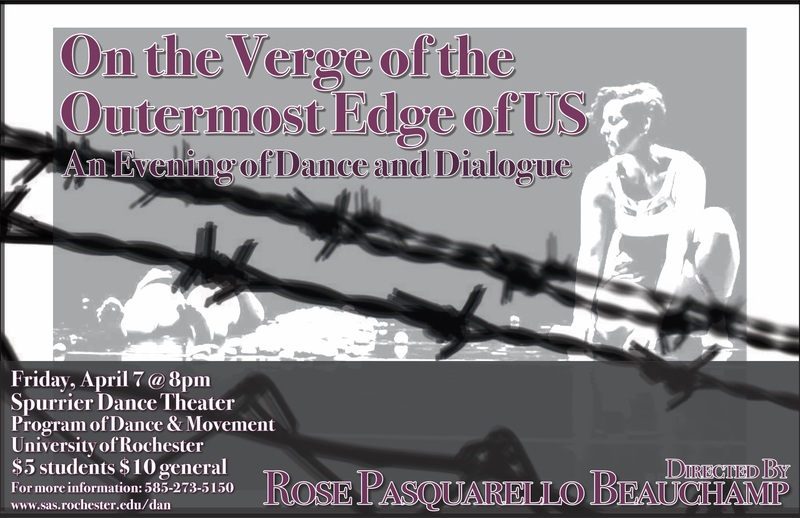 An evening of dance and dialogue: "On the Verge of the Outermost Edge of US" directed by Rose Pasquarello Beauchamp. Tickets are $5.00 Students, $10.00 General Admission. Sponsored by the Program of Dance and Movement. For more information, please call (585) 273-5150.